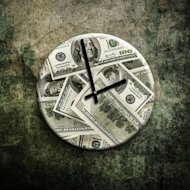 When you’re running a small business, time is a precious commodity. And marketing can take up plenty of your time. Have you ever considered outsourcing some of these resource-demanding tasks? Some business owners still view “outsourcing” as a dirty word—but today’s outsourcing is worlds away from the cheap, badly produced overseas industry it used to be. Outsourcing your online marketing tasks is a smart move for many businesses. Whether you have a staff of one or one hundred, handing over your marketing tasks to a third party frees up time across the board. All those tedious hours spent on writing marketing material, developing social media platforms, creating and managing email lists—with outsourcing, you can get those hours back. This leaves you and your team free to work on what you do best: your core business. India is no longer the only place you can go for outsourcing. For today’s professionals, independent consulting and freelance work holds a lot of appeal. It’s easier than ever to find an experienced and affordable online marketing professional who will work with your company to learn your goals and implement effective strategies on your behalf. You’re close to your business. You understand exactly what you do, how you do it, and why. But do you know exactly what attracts your customers? Your concepts of which aspects of your business should be enhanced in your marketing may be slightly biased. When you work with an outsourced marketing professional, you’re able to benefit from a fresh perspective. Online marketing consultants understand how to attract and convert buyers—and they can offer you valuable insights into new marketing angles and unique selling propositions (USPs) that you may have missed. If you have someone in your business that does marketing, chances are they have additional responsibilities. Entrepreneurs handle all the hats themselves, and smaller companies may have online marketing tasks split between a handful of team members who are also customer service reps, bookkeepers, or human resources. When you work with an outsourced provider, you’re getting an expert in marketing. That is their primary occupation—and they have not only the experience, but the resources to get more effective results for you through targeting and analytic research. You’ll also be able to benefit through benchmark comparisons to competitors, and more effectively measure the success of your company’s marketing—without having to invest time and resources in an extensive market study. Your company may use a variety of platforms and technologies for different functions, but how many marketing-specific programs do you use? Especially for smaller businesses, the answer is usually either not many or none. When you outsource your internet marketing, you’ll be able to work with professionals who use the latest, cutting-edge technologies for marketing, analytics, automation, and more—without having to invest hundreds or thousands in additional software or tools. When a marketing opportunity arises, is your company equipped to take advantage of it? Outsourcing gives you the flexibility to launch online marketing projects on an as-needed basis—letting you scale up or down according to your current needs, without having to make staff changes or interrupt your core business flow. Entrepreneurs and small businesses often don’t have the resources to dedicate to full-time, in-house marketing. This leads to the burden of marketing falling on you as the business owner, or employees who are working on other tasks alongside marketing initiatives. Things can get stressful—particularly when some of your online marketing campaigns are ineffective. If you’re handling your online marketing in-house, you may not be using many channels. Maybe you’re concentrating on your email lists, or a single social media platform like Facebook, or a PPC campaign. And you might not have time to work on basic online marketing maintenance, such as updating your website or keeping your small business blog going. Outsourcing lets you work on multiple channels without overwhelming your team. You can hire a graphic designer to update your website, a copywriter to handle your blog or email newsletter, and a social media expert to automate your platforms. With a variety of outsourcing services available, you can turn over single campaigns, specialized services, or even entire marketing functions to a capable third party. It’s true that you have to pay for outsourcing. However, you often save more than you invest by reducing your expenses for staff (including space, salary, recruitment, and training), specialized software, and other overhead costs. Additionally, you’ll benefit from the fixed costs of outsourcing. With most third-party providers, you’ll have a predictable, recurring expense that simplifies your budgeting and helps to guard against unexpected outlays of money and resources. When your company is expanding rapidly, your growth can be slowed or even halted if you have to launch a lengthy recruitment campaign to bring in enough staff to handle the increased business. You may also end up rushing the hiring process and hiring the wrong people—which can set you back even further. Outsourcing allows you to quickly add qualified experts to your marketing team, and handle the overflow until your staffing levels catch up. You can also use outsourcing to provide additional hands for new product launches, service upgrades, or other one-time events that require a temporary boost in marketing reach. For many small businesses today, outsourcing your Internet marketing tasks simply makes sense. Have you ever worked with outsourcing? Would you consider it? Let us know in the comments! Is Your Content Created for Machines or Humans?